"Travelling to the place you were born and grew up,to the place that you consider relatedto you, is like traveling in Wonderland over and over again: you know the way yes, but miracles never cease to happen...."
John Kondilakis, a famous Greek author originated from Viannos, in his work "From Viannos" tells us that there is a province in Eastern Crete in which the nature gave all its gifts ː Situated on the hillside of high mountains, has lavish water, forests and fertile valleys. The violets are native and myrtle forms thick forests where trickling countlesswater sources. The olive groves are the best of Crete and trees flourish on its territory. The Viannos province is located on the southeastern edge of Heraklionpreferacture. East borders with the province of Ierapetra, on the north by the province of Pediada, to the west by Monofatsi province and in its south lies the Libyan Sea. The entire area is mountainous. Its main products includeolive oil, vegetables, carob beans and bananas in the coastal areas. Today, ViannosMunicipality was founded in 1997 and remained unchanged with the implementation of Kallikratisnational administrative program. It has an area of 221.539 square meters or the 2.7% of the total area of Crete, and 5,500 inhabitants according to official census figures of 2011. Its administrative base is in Ano(upper) Viannos and includes the districts of AgiosVasilios, Amira, Afrati, Vachos, Emparos, Kalami, Lower and Upper Viannos, Kato Simi, Kefalovrysi, Martha, Milliarades, Xeniakos, Pefkos, Sykologos and Chondros. Last but not least, it is worth mentioningthe local residents; as Emmanuel Kaniadakis states the Viannos’ figures are characterized as people with inexhaustible humorous sophistication and by the grace of wit and sharpness. It is well known throughout Crete,Viannos’ inimitable humor. Especially during the older decades, Viannos’ locals were people who enjoyed life, always had a reason to celebrate “and had fun with the Gods”as says EleftheriosMastrogiorgakis. 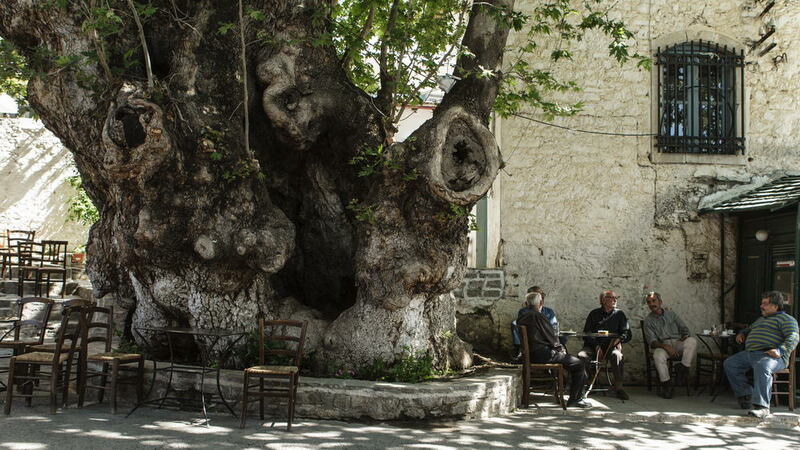 They had their visions, their aspirations, and theirprinciplesto exchange in the village squares in the shade of trees. These values we also seek today, in an effort to revitalize those that generously our grandparents taught us but faded due to the modern lifestyle. The ancient Cretan city of “Viennos”, currently called “Viannos” according to historian Stephanos Byzantios, roots its name from Viennos, one of the ten “Kourites”. The “Kourites” were the mythological guards and warriors of baby Zeus -Greek Ancient God of the sky, lightning, thunder, law, order, justice-, who were causing deafening noise by the sound of their armor in order the father of Zeus, Kronos, not to hear baby Zeus crying and thus, protect him of Kronos anger. Viannos has been categorized by Homer among the hundred most powerful cities of Crete, who participated in the Trojan War, taking the 17th place. Its strength was indicated by the coins illustrating a female figure on one side and a blooming branch on the other. Its inhabitants except from brave warriors, were excellent farmers cultivating in a unique way olives and vines. In the sanctuary of goddess Aphrodite and of the messenger of Gods, Hermes, in Symi village, was found an olive branch in ideogram, illustrating how old this cultivating activity in the area is. Last but not least, in the 2nd century B.C., the king of Pergamos, Eymenis II, sent a delegation asking for alliance and friendship with Viannos, which demonstrates the power of the city in those times. 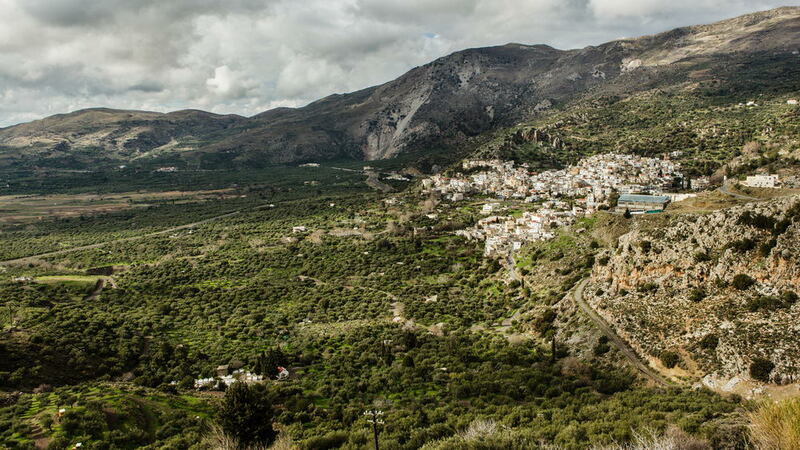 Viannos, is built at the base of Mount Dikti, at an altitude of 650 meters with excellent climatic conditions which favors the cultivation of olive trees. 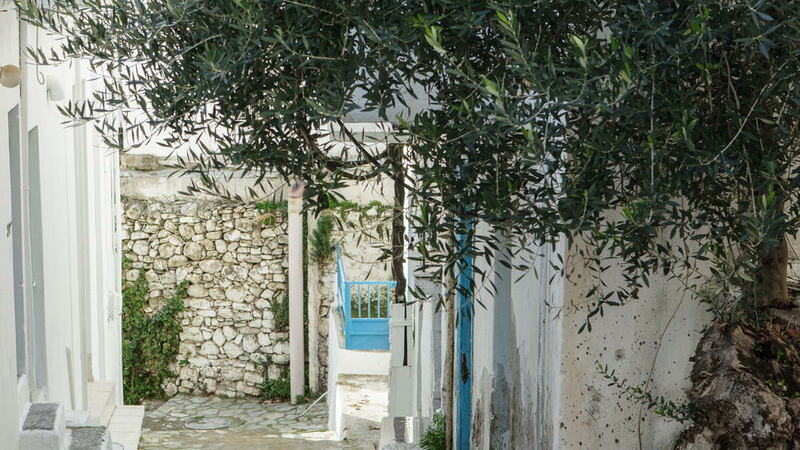 In ancient times, Viannos was famous for its excellent olive oil. Due to its rich oil production, during the Byzantine period and the Venetian rule, in Viannos was the headquarters of the Commanders, proving once more its power throughout history. During the German occupation , in Viannos was founded the first resistance organization in Europe and from its coasts escaped the British, Australians and New Zealanders fighters of the historical Battle of Crete. 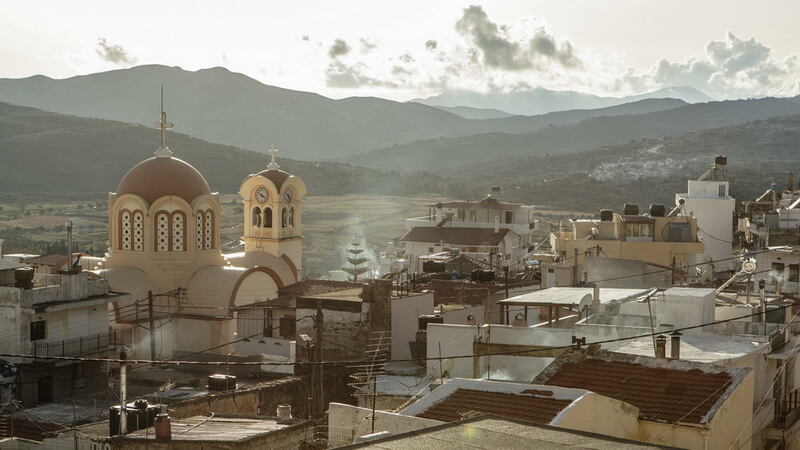 Viannos is also the hometown of the famous Greek author John Kondilakis, founder and first President of the Daily Newspapers Journalists Union of Athens and of the first prime minister of the Cretan State George Papamastorakis. It is remarkable that today, this village of 850 inhabitants, is the hometown of approximately 60 academics of universities and technical institutions in Greece and abroad. In conclusion, Viannos of the Minoan, Roman, Byzantine and modern times, with its long and important history, its culture, its contribution in blood in all the liberation battles of Greece and with the remarkable production of extra virgin - without any intervention - olive oil, has managed to “survive” for 5 millennia until today. Currently, despite the economic crisis, Viannos is facing the future with optimism, utilizing its unique advantages, its quality products and the sincere intentions of its people towards the consumers who will trust them.